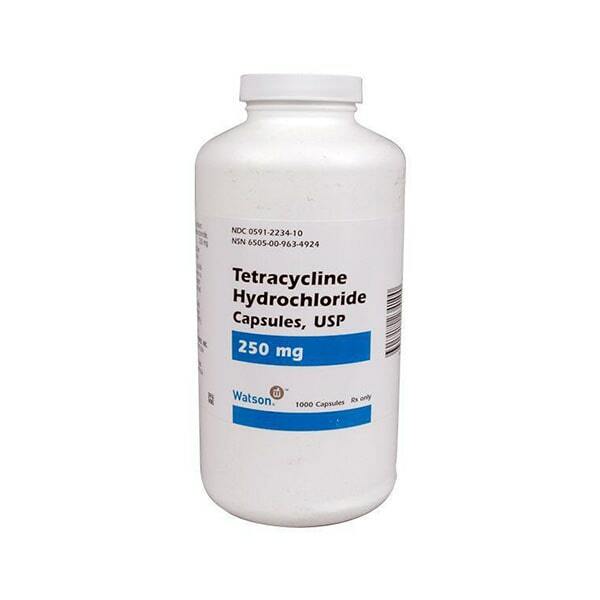 Tetracycline is an antibiotic medication used for treating infections acne, gonorrhea, Chlamydia and other infections. Tetracycline slows down the growth of the bacteria in the body. This allows the immune system to eliminate the bacteria completely from the system. Tetracycline may be taken with or without a meal. Antacids, iron supplements, multivitamins must be avoided for at least 2 hours before and after using Tetracycline. Tetracycline must be consumed for the complete prescribed time duration. You may notice that your symptoms may improve before the prescribed duration is over or the infection is cleared. But do not alter the dose or the schedule without consulting your doctor. Store Tetracycline in a cool and dark place at room temperature. Do not store it in a place where it can get exposed to direct sunlight or moisture. Before using Tetracycline, you should consult a physician and discuss about your medical history. If you have allergies to antibiotics, then inform your doctor about it. You may have to undergo frequent blood tests including your kidney and liver functioning while using Tetracycline. It may also reduce the effectiveness of birth control pills. So ensure that you use multiple birth control measures while using Tetracycline. Tetracycline can cause permanent yellowing or graying of the teeth. The chances of this happening are more in children below 8 years of age. Tetracycline can increase the sensitivity of the skin to sunlight. So exposure to the sun, UV lamps and tanning beds must be avoided. Ensure that you wear protective clothing and use sunscreen when you venture out into the sun. Tetracycline may interact with some medications. So if you are using any prescription, non prescription, OTC medicines or dietary supplements, then inform your physician in advance before you use Tetracycline. Inform your doctor if you plan to become pregnant or are pregnant during the time of treatment with Tetracycline. Tetracycline may be passed on to the baby if you are breast feeding. Please speak to your doctor about the potential risks of breast feeding while using Tetracycline. Nausea, vomiting, upset stomach, mild diarrhea, skin rash or itching, vaginal itching or discharge. These side effects usually subside by themselves in sometime as the body gets used to Tetracycline.